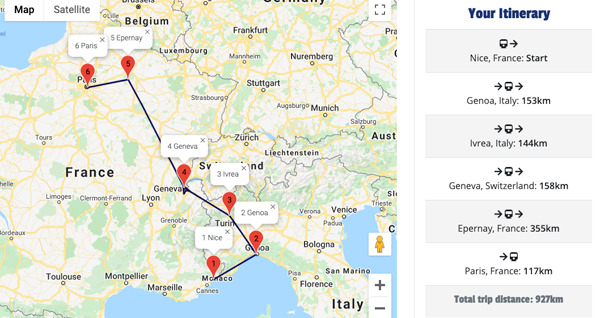 Planning where you will stay on your European rail trip is something that should ideally be considered before you set off. How you arrange your accommodation largely depends on your requirements. If you are very particular about standards at hotels then you should book in advance to avoid problems when you arrive at your destination. If you are flexible and are prepared to risk turning up to a hotel or hostel without booking you may be able to negotiate lower than the rack rates you might have paid had you booked in advance. If you plan on booking a hotel in Europe for your European rail trip read on here for pointers and advice on how to get the best hotel for your budget and where to book it. Finding a hotel can be quite a difficult task if you don't know anything about the area in which you are staying. Our advice is to do some research in to the area, use our city guides to get an idea of some of Europe's most popular cities. Once you have a general feel for the area you can begin to get an idea of where you would like to stay. The next step is to visit hotel websites to see what's available in the area. We have a range of hotels listed in our city guides which are all bookable online. 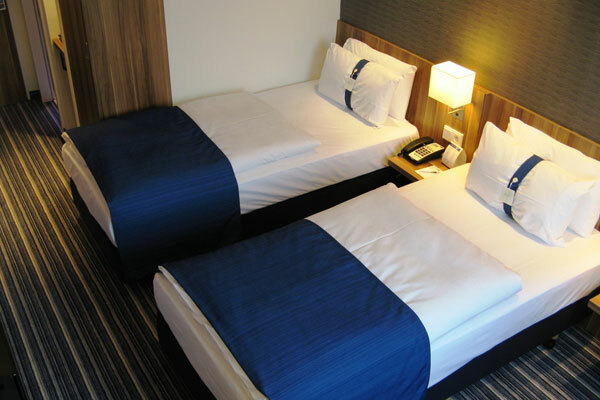 If you are travelling through Europe on a budget you will no doubt be looking to minimise your accommodation expenses. Staying at a hostel is one of the best ways to keep expenses down whilst staying in the heart of the major European cities. Modern hostels are much more like hotels than they used to be, many now offer well equipped rooms aswell as the stereotypical hostel dorm rooms. Finding a hostel is not quite as easy a task as finding a hotel. There are many fewer hostels than hotels in most cities and they often have small marketing budgets which don't allow them to promote themselves in the same channels as hotels. Luckily the Internet has provided many of these hostels with an easy channel for filling their rooms. In our opinion the best way to book a hostel is using a service, we have partnered with hostel bookers to provide online bookings through our site. Visit the Hostel Bookers website here: Hostelbookers.com - please note that any bookings made after following this link will result in a small commission for European Rail Guide. If you don't like the idea of staying in a hotel or hostel on your trip and would like to stay somewhere a bit different try some of our suggestions on this page. Many European Universities will offer very reasonably priced accommodation to tourists. The accommodation is generally in the student halls of residence and other university accommodation buildings. To find out more about University accommodation visit the university website and check out what they can offer. There are always a number of very reasonably priced B&Bs in major European cities and towns. Staying at a bed and breakfast can work out to be very cost effective and a is great way to experience some of the local culture that you wouldn't get at a standard branded hotel. B and B owners will often be a great source of useful information about the local area and can tell you about attractions and places that other tourists would miss out on. If you are an outdoors kind of person then camping may be the perfect option for you. Use the search box below to search using the Booking.com website, any bookings made will result in a small commission for European Rail Guide.